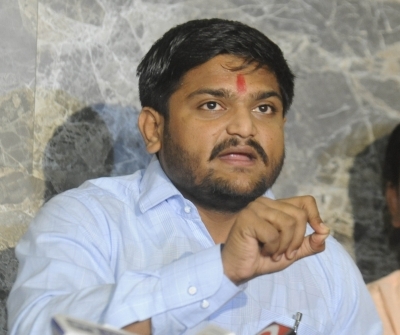 Ahmedabad, March 19 (IANS): The Gujarat High Court on Tuesday adjourned the hearing on a plea of Congress leader and convener of Patidar Ananmat Aandolan Samiti (PAAS), Hardik Patel, seeking a stay on the conviction by Mehsana district court, to enable him to contest the upcoming general election from Gujarat. Meanwhile, Hardik Patel on his Twitter account tweeted, "The BJP is scared in Gujarat. The public prosecutor has been asking for dates after dates. While BJP leaders, convicted for five years' imprisonment, can contest elections, every attempt is made by the BJP to prevent me from contesting."